Atlas Cloak & Suit: This company began with Theodore Dimarco, cloaks, at 16 E. 8th St. in 1913 and lasted for another 50 years, closing in 1963. Two brothers, Theodore DiMarco (1883-1974) and Nicholas DiMarco (1886-1968), were partners in the business. Immigrants from Italy, both brothers registered for the World War II draft while living in the Bronx. Theodore at that time spelled his name DeMarco. Most directory listings consistently use the DiMarco form, but both brothers used DeMarco when they registered in 1917 and 1918 for the World War I draft. Theodore DiMarco specified his birthplace as Macchia Valfortore, Campobasso, Italy in his World War II draft registration. This is a town of approx. 800 (in 2000) in the province of Campobasso (bordering on the Adriatic, north of Bari, northeast of Napoli). The entry for Campobasso at Italy World Club specifies that there is still a surname Di Marco in Macchia Valfortore in 2007. The brothers also did business as DiMarco Brothers. Atlas Cloak & Suit was located here on W. 27th St. from 1923 to 1925. Price & Holtzman: This was a short-lived partnership between the furriers, Louis Price (1887-?) and Isidor Holtzman (1891 or 1895-?). They were located here on W. 27th St. from 1924 to 1925. Louis Price is probably the same Louis Price who registered for the World War I draft while living at 281 E. 7th St. and employed at Schiffman & Kahn, Furriers, 129 W. 29th St. He appears in the U. S. Census of 1920 living at this address with wife, Rebecca, and son, Alexander, age 3 years, 11 months. The Prices were immigrants from Russia around 1901/02. Isidor Holtzman registered for the World War I draft (as Isidor Holzman) while in process of moving from 406 E. 8th St, Manhattan, to 4072 3rd Ave., the Bronx (both addresses appear on the form). He is 25 years old, an immigrant from Russia, has filed first papers for citizenship, single (supporting mother), and in business for himself (furs) at 48 W. 37th St. 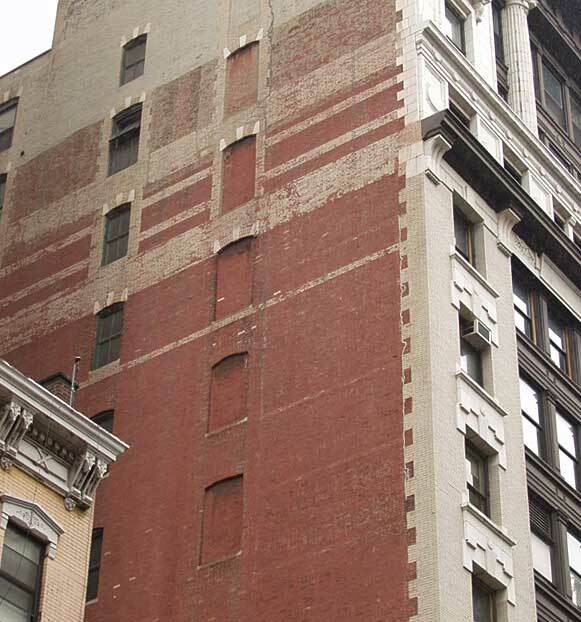 The business at 48 W. 37th St. was Holtzman Brothers, a partnership with his brother Aaron Holtzman (1880-?). Isidor Holtzman specified his place of birth as Kamenetz-Podolsk, Russia, on both draft registrations (1917 and 1942). Kamenetz-Podolsk is in the south west of what is now Ukraine.